Soon you will see artists dotting the streets of Fuquay-Varina’s two downtown districts. Some are very well-known and have traveled from afar for this annual event and some are local aspiring artists. We do know that all will bring Fuquay-Varina’s beauty to life on their canvases right before our eyes. I am sure you have noticed the paintings of past years En Plein Air events beautifully transformed into murals displayed all around town on the exterior walls of our historic retail shops and restaurants. This year’s event even includes a special Student’s En Plein Air Event sponsored by the Fuquay-Varina Arts Council. Students will have a chance to have their art displayed in the new Fuquay-Varina Performing Arts Center opening this Summer. The fun begins Friday, May 5th, 2018 at 12 noon and continues throughout Saturday, May 6th, 2018. 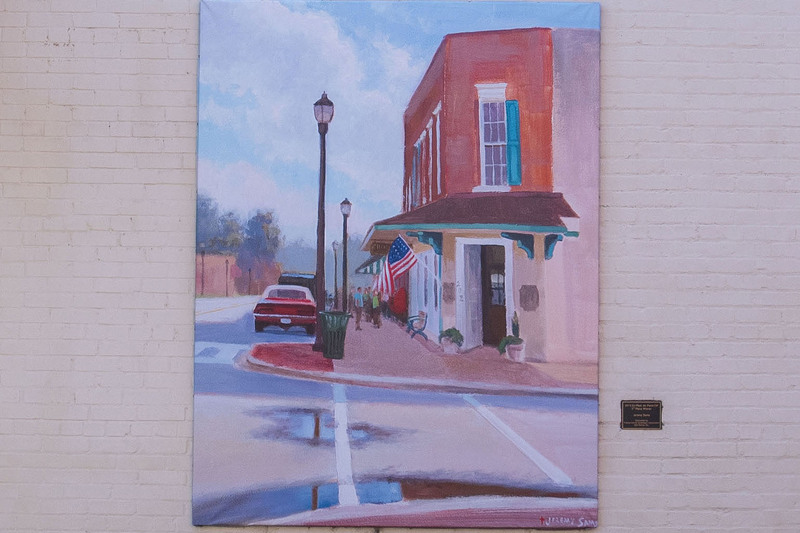 A live auction of the original paintings will be held on Saturday evening in the heart of Fuquay-Varina’s downtown historic district on Depot St.
For all of the details visit the the Fuquay-Varina Downtown Revitalization District’s website.